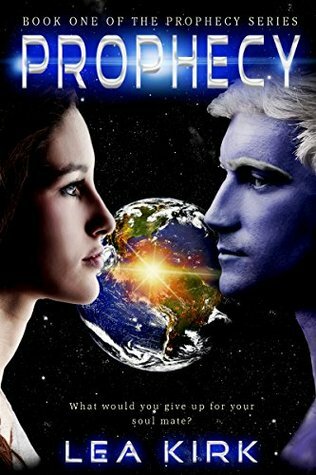 First up, Prophecy is Lea Kirk’s debut novel, and it’s impressive. I think I have a new author to add to my list of ‘must-read’ authors. This novel is ambitious, but it lives up to the challenge. Galactic warfare, planetary near-annihilation, romance, prophecies, intrigue, villains, heroes and heroines, this book has it all. Oh, and a lovely twist on the soul-mate concept. And if you thought you knew all about Atlantis, think again. Kirk spins a tale that’s so believable you might find yourself rewriting the history you remember. And I’ll say this: this book provided excellent escapist reading on a day when I really needed it. Well written and vivid, Kirk easily draws the reader in to the world she has created, then traps them there right up till the end. That’s not all, the satellite also reveals an encrypted set of coordinates that reveal SOS messages from US Military bases around the world, all activated on invasion day—except for one: Offutt Air Force Base. But before the two teams can launch an offensive, the biosphere must deal with sabotage from within and a strange nanotechnology that has infected several of the survivors. As tensions rise, Sophie and team must decide whether a new discovery at Offutt is worth abandoning the biosphere. The more the team learns, the more they realize the planet may be beyond saving and that salvation may require leaving the planet forever. It’s an excellent book and, I think, a fitting conclusion to the series. The action is ramped up with some new threats from the Organics, making one wonder just what they aren’t capable of, but hope arrives in the form of Sunspot, a prototype spaceship left behind. The big question is: Will any of humanity survive on Earth? Vividly written, Smith pulled me right into the action and the fears and hopes of all the characters within the story. One of the things I really appreciate about Smith’s writing is his attention to detail. One doesn’t feel short-changed on any of the technical elements such as military and medical. Research has clearly been done, making the story more authentic and threatening. Totally recommend this book to all lovers of post-apocalyptic thrillers, with a caution of horror. Jeff and his little brother David are alone. Their parents have disappeared along with the rest of the world, replaced by glowing blue orbs and a terrifying army of aliens. But the boys are survivors. Living in the tunnels beneath the White Sands military base, escaping from hungry aliens, and searching for supplies, they hatch a plan. The boys will fight back, and before they’re through the white sands will run red with blood. 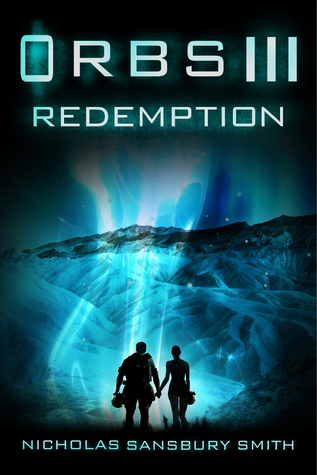 This novella tells us more about what happened to Jeff and David, the young brothers abandoned at the Edwards Air Force Base when the Organics arrive, before they met up with members of the team from the Cheyenne Biosphere. We also follow a bit more of Dr. Hoffman’s thoughts and reactions as he flies away from Earth, destination Mars. Smith does a great job of seeing the events through a kid’s eyes. He masks the terror and gore (which we should know well from the other ORBS stories) out well, only giving the kids as much as they can handle. Yet he doesn’t quite let up on the kids either; there are a few tough choices for them to make. I also really appreciated getting into Hoffman’s head a bit more, and seeing that he actually does have doubts. He’s done his best, but has his best been enough? Another well-written story that fills out the ORBS story. 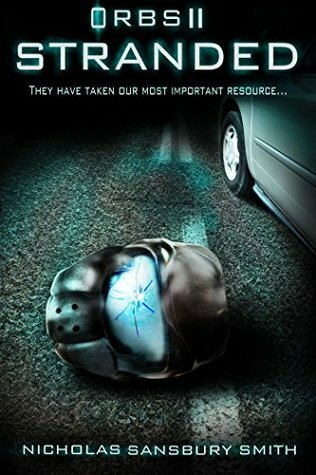 Dr. Sophie Winston and her team of survivors fend off the alien invasion in Orbs II: Stranded, the second book in Nicholas Sansbury Smith’s bestselling Orbs series. The aliens have invaded, wiping out almost all life on earth. Their goal: water. Huge spaceships are draining the oceans, and the few remaining humans have been herded into farms, where their bodies are harvested to support the growing alien army. Humanity’s last chance lies in the biospheres that have been planted secretly across the globe. But all is not peaceful in the biosphere led by Dr. Sophie Winston. With resources dwindling and tensions high, her small group of survivors is divided. 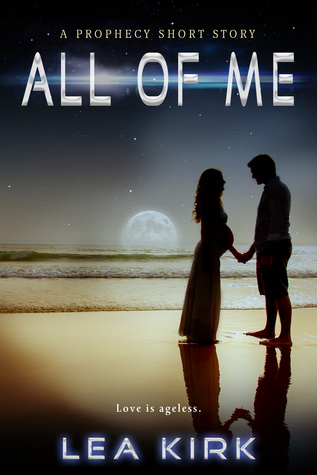 Some want to fight, some want to stay hidden, and Sophie just wants to keep everyone alive. When one of their own, eleven-year-old Jeff, is kidnapped by the Organics, Sophie is forced to pick sides. With the help of a promising new magnetic weapon, the biosphere team just might have a fighting chance to save Jeff and the world—if they live long enough to use it. This sequel to ORBS opens with Alex Wagner, a new character in the series. He is a survivor from one of the other Biospheres, near Edwards Air Force Base, California, and he is searching for water while trying to hide from the Organics. It is later revealed that the Cheyenne Mountain Biosphere team, led by Sophie, are aware of his existence, as he contacted them previously. Things at the Cheyenne Mountain Biosphere are not going well, however. Through a probe they sent out, they discover the existence of human farms – survivors of the apocalypse (the arrival of the Organics) are being herded to (specifically) a lake bed and strung up on poles in a manner similar to the formation of the blue orbs, but different. This discovery creates tensions in the team; Overton, a marine, wants to go and search the lake bed to find out if any of his men survived, while Sophie would rather keep everyone inside the Biosphere, safe. Angry, Overton leaves the Biosphere for a smoke, and Jeff follows him out and is captured by a drone as they move to go back inside. 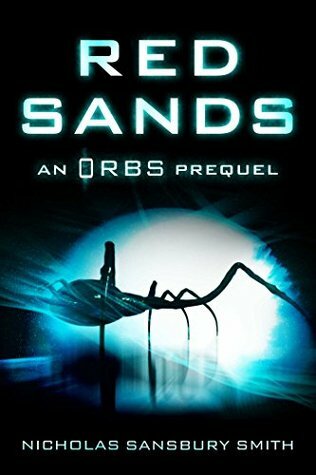 This novel is an excellent follow-up to the first in the series, ORBS. Smith clearly depicts the tensions among the survivors, as well as their inner struggles to stay focussed. The introduction of Alex Wagner into the story opens up a new avenue of information to the reader, widening the vision of events considerably. I think one of my biggest questions relating to this is “what about that encrypted radio link”? An excellent tension-builder. In this book we also find out a lot more about the Organics and, in particular, that Dr. Hoffman – the founder and architect of all NTC’s operations – knows much more about them than is initially understood. Smith’s writing is once again an excellent vehicle for the images he conveys, enabling the reader to easily slip into the scenes, experiencing events along with the characters. He has definitely found his stride in story telling, and it shows. A definite page-turner for me. I should note that this story does have horror elements, so is not always an easy read.